Jigsaw Homes Group has joined housing providers across the region set out ambitions for building 16,000 homes over next five years. 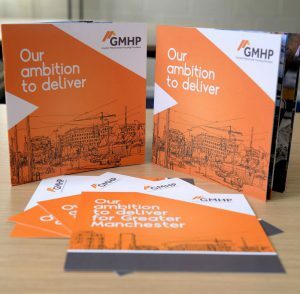 Other commitments made in the manifesto include tackling homelessness and roughsleeping by working with private rental sector landlords; and building on the £1.2bn GMHP providers contribute to the region’s economy by investing in more than 1,000 new apprentices. Greater Manchester Housing Providers house one in every five people across the region, owning more than 250,000 safe, decent and affordable homes and have built more than 8,000 new homes in the last five years. Made up of 25 housing providers, we contribute £1.2bn in GVA to the Greater Manchester economy and support more than 28,000 full-time jobs across local communities. You can find out more about GHMP by visiting their website at: www.gmhousing.co.uk or following them on Twitter @gmhousing.